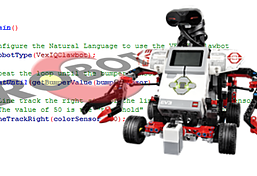 Whats a better way to learn STEM concepts, than building robot and cool engineering structures. Its Learn+Fun in Ashburn! These classes follow progressive self paced curriculum. We partner with schools PTO's and community Centers to bring our popular classes to your location. The program is tailored to your needs. Contact us today. Summer is when the fun begins, but the learning does not have to stop! Students love our fun filled camps. We offer camp choices under three Camp Themes, that you can choose. The classes are self paced and gives kids an opportunity to learn at their own pace. We encourage students who are fast performers and also students who take time to think things through. The recommended duration is 6 or 12 months. Students can enroll anytime during the year, since they experience the courses at their own pace. Students start on an age-appropriate course in either the Protons, Neutrons or Electrons age group. My Son looks forward to going to class and also has fun interacting with all the other like-minded kids as they work on their projects and coursework. We have also sent him to summer camps here and he loved those as well. I have been so impressed and happy with this program and I recommend it frequently to parents who have children who have strong interests in STEM. With the pace of advancements in technology, and with the limitations of school based offerings on these subjects, it's very difficult to keep a child engaged and growing without a supporting program like this. Thanks Science Cosmos!